The Pilot SE is loaded with entertainment options and more. 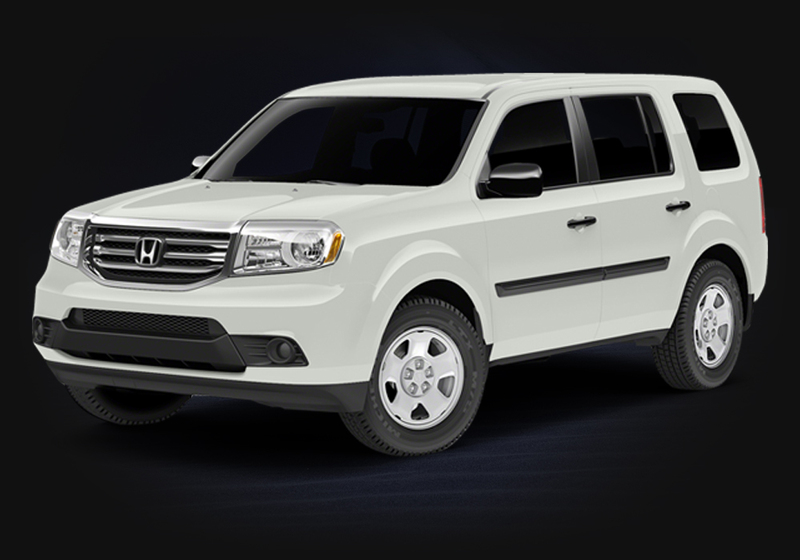 Whether you want a new crossover for its versatility as a family vehicle, its powerful capabilities as a work vehicle, or both, the 2015 Honda Pilot is an excellent choice. 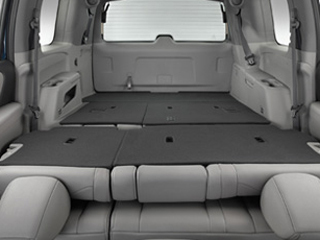 Honda’s SUV offers seating for up to eight and as much as 87 cubic feet of cargo space, too. Combine all of this with a 3.5L V6 under the hood, some of the latest technology in the cabin, available all-wheel drive, and five trim levels, and it’s clear that Honda has made their rugged yet family-friendly SUV a force to be reckoned with. 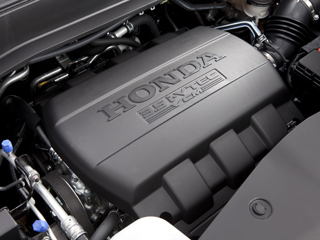 Honda engineering is some of the most advanced in the auto world, and under the hood of every 2015 Pilot is a powerful 3.5L V6 engine that gives you the confidence you need in an SUV. Features like Variable Cylinder Management and Honda’s 5 Speed Automatic Transmission ensure that the power of the Pilot doesn’t force you to compromise on fuel efficiency, either. 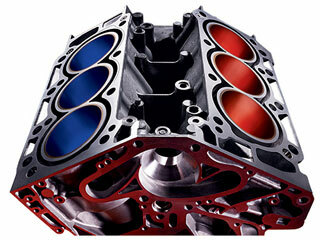 The 3.5L V6 has a broad torque curve, and the transmission takes advantage of that to help optimize fuel efficiency. With built-in Grade Logic Control, Honda’s transmission helps give you a more efficient engine in a wide range of driving conditions, adjusting to a better gear for more driving power or increasing engine braking while heading downhill. One of the most important parts of a full-size SUV is having a vehicle that handles like a smaller model, and the independent suspension of the Pilot delivers that handling through its rigid unit-body structure. Honda’s suspension gives drivers the perfect balance of torsional rigidity and bending to give you the comfort you need behind the wheel. Wouldn’t it be nice to have the choice between the fuel efficiency of a four-cylinder or the power of a V6 when you need it? Variable Cylinder Management shuts down the cylinders you don’t need when you aren’t using them, letting the Pilot’s V6 conserve fuel without sacrificing power. 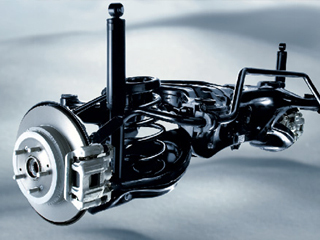 The available Variable Torque Management Four-Wheel Drive system operates automatically, giving you the utmost control when you need it, but if you need to start in an extremely low traction environment, you can manually lock the rear differential at speeds of up to 18 miles per hour. 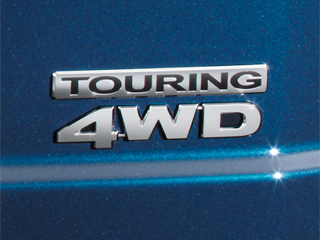 It’s easy to get where you need to go with the four-wheel drive system. 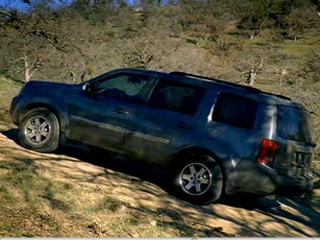 Standard on every Pilot, Hill Start Assist keeps you from rolling backward or forward when parked on a steep incline. 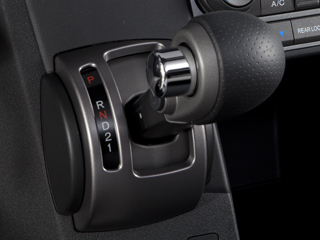 When you take your foot off the brake pedal to the accelerator, the Pilot maintains the pressure in your brake line to give you time to accelerate without sliding. Honda has a reputation for safety that goes back decades, and every inch of the 2015 Pilot is built for the safety of you and your passengers. From the very frame around which it is built—using Honda’s ACE Body Structure—to high-tech amenities like the standard rearview camera, the Pilot is equipped with some of the most advanced and innovative safety features on the market. It stands for “Advanced Compatibility Engineering,” and it’s about more than just crumple zones. 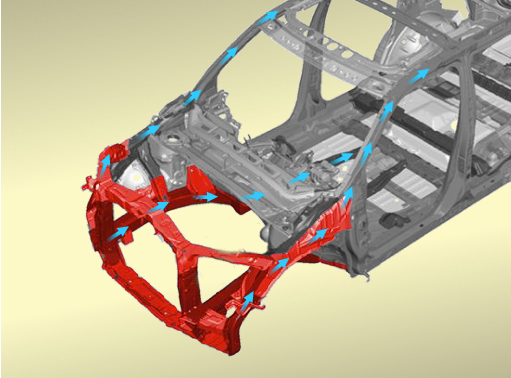 Honda’s Ace Body Structure is designed to redistribute energy in the event of a collision, sending it away from the passengers and allowing it to more evenly disperse among all of the vehicles in an accident. 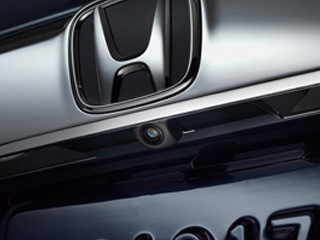 The standard rearview camera found on every 2015 Honda Pilot gives you an unobstructed view of what’s behind your SUV. No longer do you have to worry about a pedestrian, an object, or a vehicle being out of your sight when you back up, and it makes parallel parking a breeze. 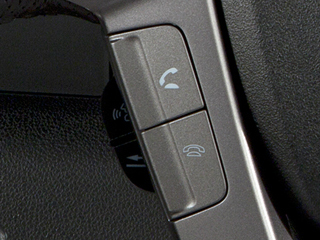 This anti-lock braking system features a specially designed modulator that pulses the Pilot’s brakes when the wheels start to lock up. 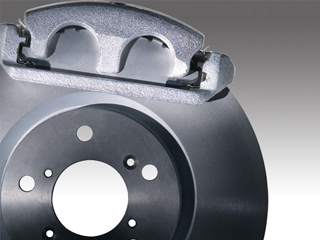 Combined with the Electronic Brake Distribution system, the brakes of your Pilot are designed to deliver just the right amount of force, regardless of the load distribution in your vehicle. 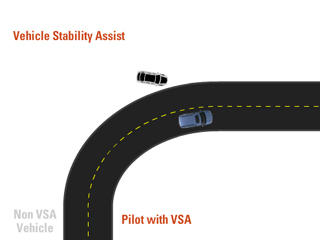 If the Pilot detects any slippage during oversteer or understeer, Vehicle Stability Assist with Traction Control kicks in to restore your intended path. It’s not a substitute for safe driving, but it can help take the worry out of driving in slick conditions. 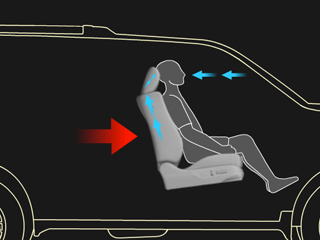 Honda has designed special head restraints that can help reduce the risk of neck injuries in rear-end impacts. These front-row active head restraints move forward and up in just a fraction of a second, giving you the support you need when a vehicle unexpectedly rear-ends your Pilot. 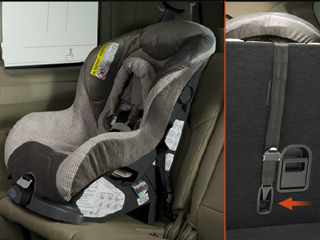 The Lower Anchors and Tethers for Children (LATCH) system can be found in both the second and third row seats of the Pilot, and when you use a LATCH-compatible child safety seat, you can take advantage of the convenient access points to safely and securely belt your child in for the ride. 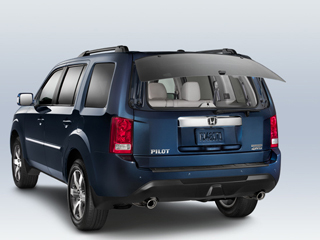 Maybe you’re looking to load the 2015 Honda Pilot up with people; you can do that with the available eight seats. Maybe you need to haul cargo or pack up the kid’s dorm room; the Pilot offers up to 87 cubic feet of cargo space. 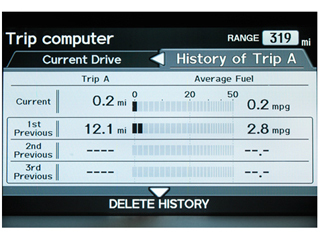 On top of it all, you’ll have the latest in automotive tech at your fingertips. Despite being one of the most spacious SUVs on the market, it’s still easy to drive and park, handling like a compact crossover. When you fold down the second- and third-row seats of the Pilot, you can unlock up to 87 cubic feet of cargo storage. It’s great for bringing home that extra-large present or helping a friend move. Or you can just fold down the third row of seating to make room for luggage for your family vacation. When we said you can fold down the seats, you don’t need to fold them all the way down. 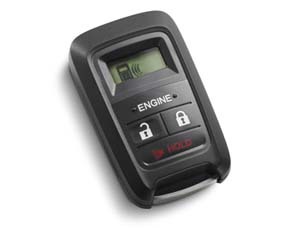 The 60/40 split lets you manage your cargo and passenger space, getting the most out of both. And unlike many other SUVs, these seats fold flat to give you even more space. This Honda-exclusive infotainment system is managed by a touchscreen interface, letting you sync up your technology, manage your radio and Bluetooth HandsFreeLink, and monitor your fuel consumption from the crystal clear 8-inch display in your dash. You can even customize the i-MID with your own wallpaper to make the Pilot feel even more like home. 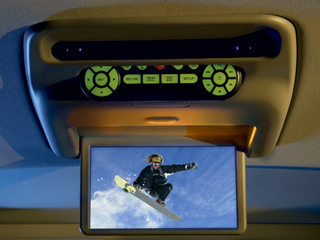 The available rear entertainment system features a DVD player to keep everyone entertained on a long drive. The 9-inch screen will give your second- and third-row passengers a clear view of their favorite movies or television shows. 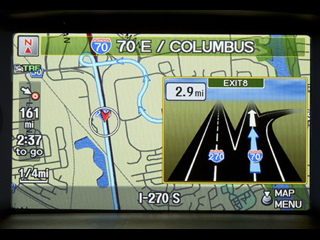 You can find the DVD system on the Pilot SE and Touring as standard, and it’s an available upgrade on the EX-L. The available satellite-linked navigation system features voice recognition software that puts you just a few words away from your final destination. FM Traffic can give you freeway conditions that let you avoid traffic jams, and the hard-drive based system lets you get practically instant access to your routes and directions rather than waiting for it all to sync. Standard on every Pilot trim level, Bluetooth HandsFreeLink lets you sync up your compatible device—like a smartphone—to the i-MID infotainment system. Not only can you make handsfree phone calls and stream music wirelessly, you can even take control of your Pandora internet radio station and receive SMS texts. While the standard Pilot has some of the best features in the auto world, sometimes you need amenities that are tailor-made to your lifestyle. And that’s where Honda’s incredible selection of accessories comes into play. Interior and exterior accessories can transform your Pilot into a vehicle that’s just as comfortable in the city as it is in the wilderness. Or they can just make it easier to haul your groceries and run your errands. The available foglights make it easy for you to cut through the toughest weather conditions and improve your visibility. 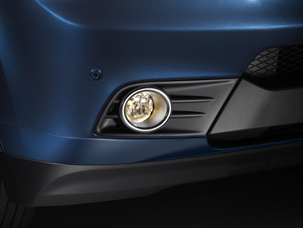 The integrated design of these foglights makes them look like factory-installed features, blending seamlessly into the Pilot. Precision optics give you a highly controlled light pattern that’s designed to pierce snow, rain, and fog. 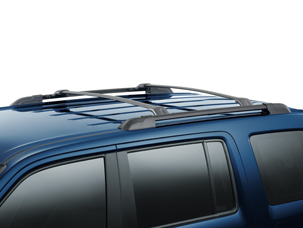 Do you want to take full advantage of your Pilot’s roof racks? Then add on the available cross bars and support loads of up to 165 pounds. And if you opt to add on any of Honda’s available roof attachments, they can be installed without taking out the cross bars. While the cross bars of the Pilot make it easy for you to toss luggage up there, you may need a little something else to accommodate your needs. Do you like to kayak? What about skiing? 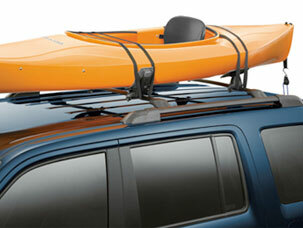 Honda makes a roof attachment for your kayak, your skis, your bike, and more; just lock it in place and hit the road. How many vehicles come with an available tent accessory? 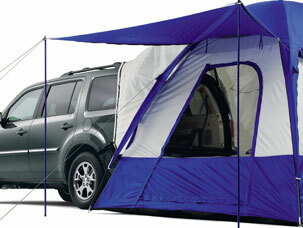 The Pilot’s tent lets you enjoy all of the benefits of your SUV while roughing it out in the wilderness. Of course, the Pilot’s tent can be used as a stand alone feature as well, with room for up to six people in its 10 ft x 10 ft space. You don’t need to save the tent for camping, though; it’s great for a tailgating event too. 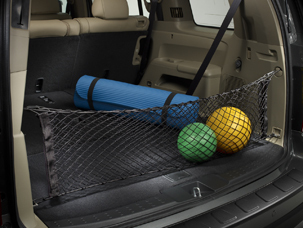 It’s easy for things in your cargo area to slide around, but the available cargo net accessory makes it easy for you to organize the Pilot’s cargo storage area. If you need something a bit more versatile, try the advanced cargo net with four configurable positions. Whether you’re in a hurry and can’t afford to spare a second or it’s the dead of winter and you know you deserve better than a freezing cold cabin, the available remote engine start system is for you. You can even automatically activate your Pilot’s climate control system or defroster so that you can hit the road in comfort, winter, spring, summer, or fall.